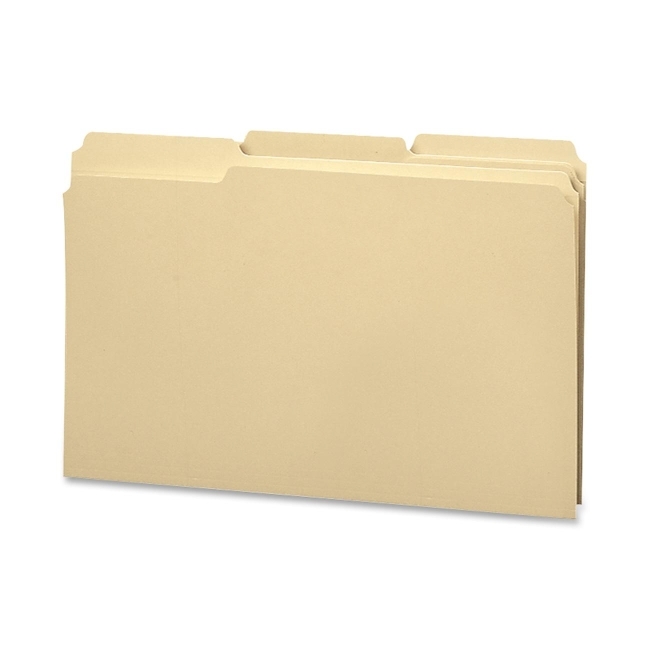 File folders are made of 100 percent recycled material with 30 percent post-consumer content. Ideal for the environmentally conscious office. Folders feature assorted 1/3 cut tabs and scoring for 3/4" expansion. Reinforced 1/2" high top tabs give extra strength where you need it most. File folders are made of 11 point, acid-free stock.